Shadow puppets on the radio? Now that’s something you don’t “hear” everyday, but here at Current State we thought we'd give it a try. Manual Cinema is a a Chicago based shadow puppet ensemble. The group recently performed at the New York International Fringe Festival and at the Puppeteers of America (r)EVOLUTION Festival, where they won multiple awards. They are in East Lansing this week, where they will be visiting the Residential College of Arts and Humanities for a performance and workshop. Julia Miller and Sarah Fornace are co-artistic directors and a part of Manual Cinema's visual team. They stopped by to talk about their unique performance art. In January 2010, the Supreme Court released its 5-4 decision in Citizens United versus the Federal Election Commission. The opinion struck down a Federal Elections Commission rule prohibiting corporations from engaging in certain political activity, maintaining it violated free-speech rights. 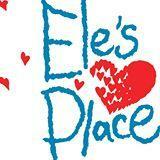 On this weeks Neighbors in Action segment we feature Ele’s Place. The non-profit, which has branches in Ann Arbor, Grand Rapids and Lansing, offers services to families and children who are grieving. Lori Bosch, managing director of Ele’s Place in Lansing, and Tanya Overweg, who has been a part of Ele’s Place, discuss the process of healing. 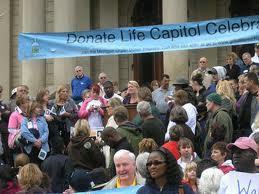 The second Donate Life Capitol Celebration is at the state Capitol today, with hundreds of donor families on hand to promote organ donation. They’ll be joined by transplant recipients and patients still waiting for a suitable donation.There are many examples of donor families bonding with those whose lives were saved by the resulting transplant. In 2003, 20-year-old Chase Coleman died in a car accident. At the same time, then-50-year-old Terry Gould was awaiting a heart transplant. He’s alive today because the Coleman family made the decision to donate Chase’s heart. Terry Gould and Chase Coleman’s brother, Lon Coleman discuss their relationship. Lansing Police continue their investigation into a shooting Tuesday afternoon that left at least three Sexton High School students injured. LPD says none of the injuries were life-threatening and at least two victims have been discharged from hospitals. Early Wednesday morning, WKAR's Mark Bashore spoke with Lansing Police Chief Mike Yankowski.